ACN Review – What Kind of Opportunity Is This and Should You Try it? Who wouldn’t like to own their own business, being their own boss and being proud of every dime they earn for themselves? If their press is to be believed, this is exactly what ACN offers. But what exactly is ACN and what do they offer? Most importantly, however, does it really work? 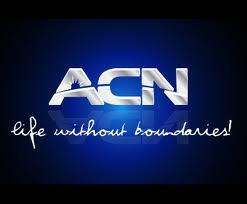 ACN was founded in 1993 by a group of four entrepreneurs. They each had been working in direct sales for many, many years, but they felt that the opportunities and companies that were out there simply weren’t fit for purpose. They wanted more! They understood that in order to work for the perfect company, they had to create the perfect company, and that is exactly what they did. What they felt was needed was a service that people all over the world use every single day. However, whatever this service was, it had to make sure that people wouldn’t feel like they were buying into unaffordable things, or that they were getting tricked into buying something they didn’t really need. At the start, ACN sold long distance services, focusing solely on this country. However, they now work in 23 different countries and are actually the world’s largest telecommunications direct sellers. Besides this, they also work in other essential services for both domestic and commercial users, including energy. The main thing about the company, however, is that they have made it possible for people all over the globe to truly transform their lives. ACN has a number of core values. The first is that they want to make sure that they actually serve and help the communities in which they work. Hence, they founded the non-profit ACN Global Reach Charities in 2011, which enabled them to take part in various charitable efforts all over the world. Everything that they do is based on integrity. This is the true foundation of the company itself. The four entrepreneurs never thought that the company would grow as much as it did, but when they noticed that it was, they still stuck to their principles and they do so until this day. The independent business owners within the company have to sign up the ethos of integrity. They have to stick to incredibly high ethical standards and they have to make sure that their marketing plan is fully compliant with consumer protection laws. This means that when you start your own business, you will actually be following a fully set business plan from which you cannot truly deviate without breaking the core principles of the company. Basically, ACN is there to give people an opportunity to have their very own business, without the huge start-up capital that would normally be needed in any other kind of entrepreneurship. Additionally, they fully support anybody that signs up to them, which means you are never alone. When you choose to become an ACN Independent Business Owner (IBO), your responsibility is to make sure that people know the services are out there. These are services that they already use, like their telephone and energy suppliers, their internet and television, automation and home security to name but a few. Because all of these things are things that people already use, you won’t have to push anything they don’t need or can’t afford on them anyway (this would also go against the values of ACN). Instead, your role as IBO is to make sure that people come to your online store, which you will be given by ACN, and they will then do everything else. If you wish to sign up as an IBO, you will first have to pay the start-up fee of $499. Once you have done this, you will be able to earn percentages of the bills of the customers you gain. So long as they stay with ACN, you will continue to receive this percentage. Additionally, you get a recurring commission for every customer you introduce, which is known as residual income. However, there are other ways of earning as well. When you are able to get other to sign up with ACN, and they learn how to get their own customers, you earn even more. Indeed, that is a further type of residual income. As such, as the residual income of those you introduce grows, yours does as well. How much you can earn depends entirely on your level of commitment and what you want out of the program. Perhaps you only want to be able to pay the bills, or maybe you want an all-expenses paid vacation twice a year. Depending on what you want to do, you will also be able to gauge how much you need to do for that. However, you will always be better off and the residual income you earn will truly improve your life. The company has amazing values and ethics that anybody could sign up to. The program is easy to follow, as most of the work is done for you by them. You receive a lot of support from ACN, which is very important particularly for those with little to no experience in this world. The products and services that are offered are things that people really need, which means you don’t have to engage in pushy, hard sales. The earning potential is vast. The start-up cost of $499 is quite high. Some other systems like this have different levels at which you can sign up, whereas this one doesn’t. It is a little bit of an all or nothing approach. I found it quite difficult to actually find out how much the package costs, and how much you can really earn. More and more people are getting interested in this type of business again. The danger is that there are many companies out there who simply want to earn money, rather than making sure you have a chance yourself. This is where ACN is different, however. Their ethics are amazing and it is clear to see why this company has been around for so long and has such a strong global presence. I fully recommend ACN to anybody.